North Korea's leader Kim Jong Un offered on Wednesday to permanently dismantle the country's main nuclear site, but only if the United States makes concessions first. 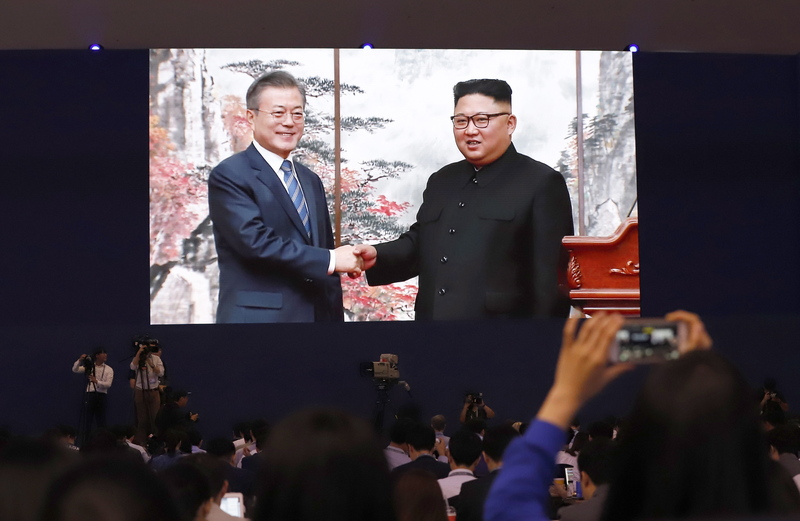 North Korean leader Kim Jong Un (R), welcomes South Korean President Moon Jae-in during a ceremony at Pyongyang airport. Seoul and Pyongyang have both been keen to promote inter-Korean ties, with Kim looking to secure cooperation from the far wealthier South in economic projects, and Moon looking to reduce the risk of a US-North Korean conflict that would devastate his country. He also expressed hope to keep up the momentum of talks to bring about another summit between North Korea and the U.S.
South Korea's president is on a three-day visit to Pyongyang following two previous meetings with Mr Kim this year. But experts said the document only contained vague promises that would do little to curb the North's nuclear program. The leaders emphasized that they understood "practical progress" was needed to move forward, but many North Korea policy experts expressed doubt about Kim's intentions. A range of positive inter-Korean initiatives were also announced on the second day of the Inter-Korean summit in Pyongyang, North Korea's capital. And while South Koreans mostly ignore North Korea's vows to turn Seoul into a "sea of fire", they also know that it could technically be done, more or less; the first time Pyongyang made that now-common threat, in 1994, it caused panic in Seoul. "There is going to be a lot of work to do to make [North Korea's denuclearization offer] materialize". Washington is demanding concrete action towards denuclearisation, such as a full disclosure of North Korea's nuclear and missile facilities, before agreeing to key goals of Pyongyang - declaring an official end to the 1950-53 Korean War and easing tough global sanctions. The two Koreas agreed to begin construction to reconnect railways and roads linking the countries within this year. 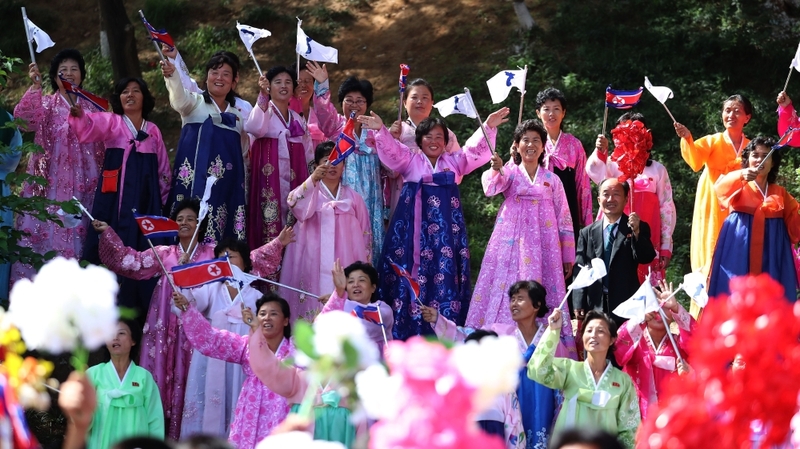 The North's unique brand of choreographed mass adulation was on full display as hundreds of people waved North Korean flags and another depicting an undivided peninsula - while the South's own emblem was only visible on Moon's Boeing 747 aircraft.